As you may or may not know, Drunken Devils: Bloody Gras was one of the very first events we reviewed as Theme Park Duo. We were floored with the quality, entertainment and drinks that were served to its patrons all night long. We are beyond excited to see this version of Drunken Devils events return, hoping with even more sinning and debauchery to be had than last time. Below is all the information you need to know about this crazy event. Make sure to grab your tickets early because it WILL SELL OUT! Drunken Devil is proud to present its second annual Bloody Gras, a terror-tinged, one-night-only fête celebrating Fat Tuesday. Last year’s inaugural event featured the the Axeman of New Orleans, a jazzy angel of death who stalked guests much like he did during his reign of terror in the Crescent City. 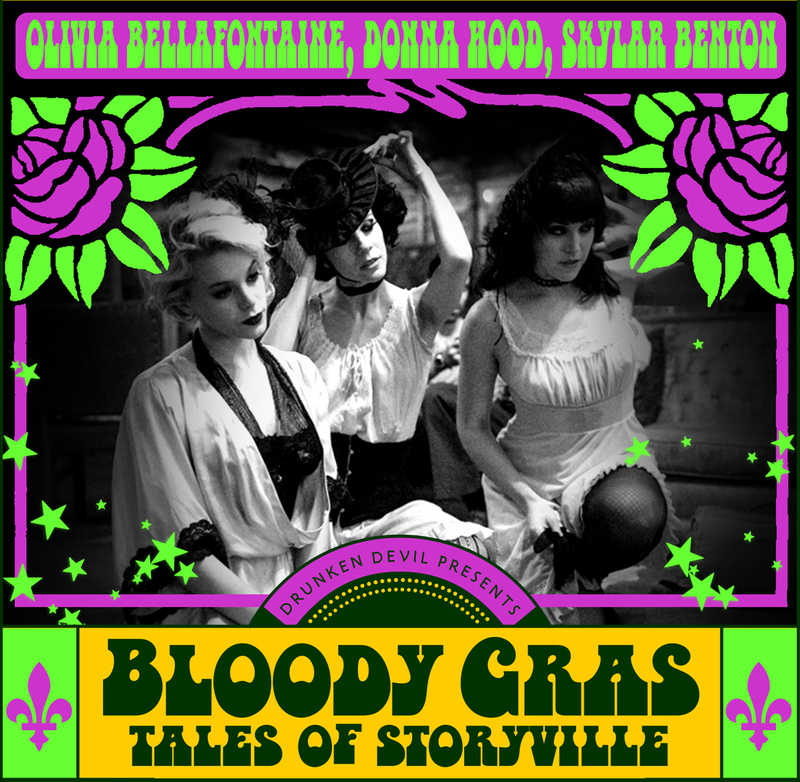 This year, guests will step back in time to 1915, where they’ll enter a seedy brothel in Storyville, New Orleans’ red light district, in Bloody Gras: Tales of Storyville. 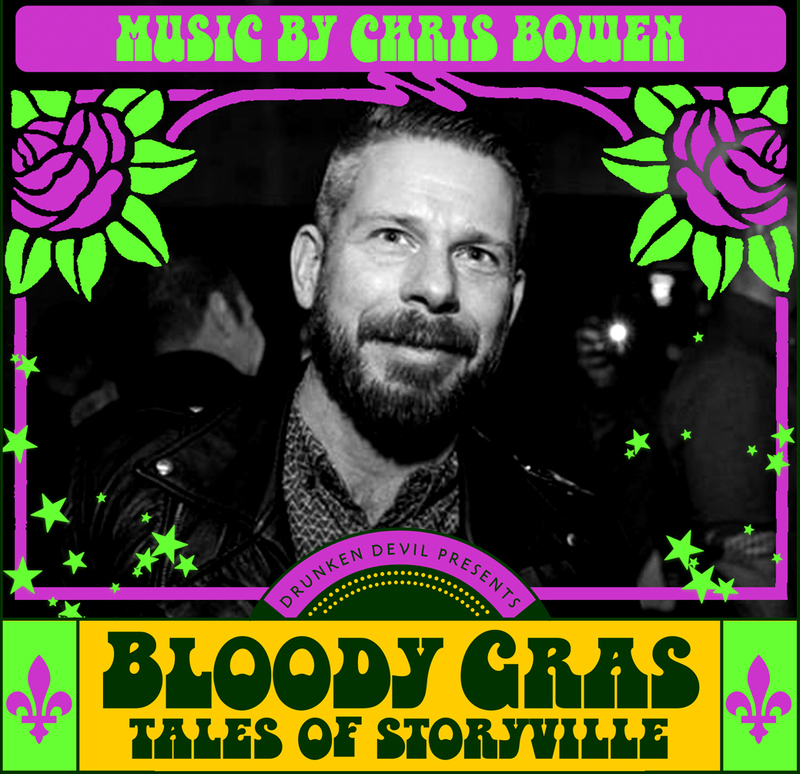 “Upon entering this year’s Bloody Gras, you’ll be thrust into a world of temptation, pleasure, and debauchery,” says Executive Producer Matt Dorado. “But underneath the masks, something sinister lurks.” As the evening progresses, guests will have the chance to interact with a host of characters – brothel regulars and residents alike – and piece together a terrifying narrative. 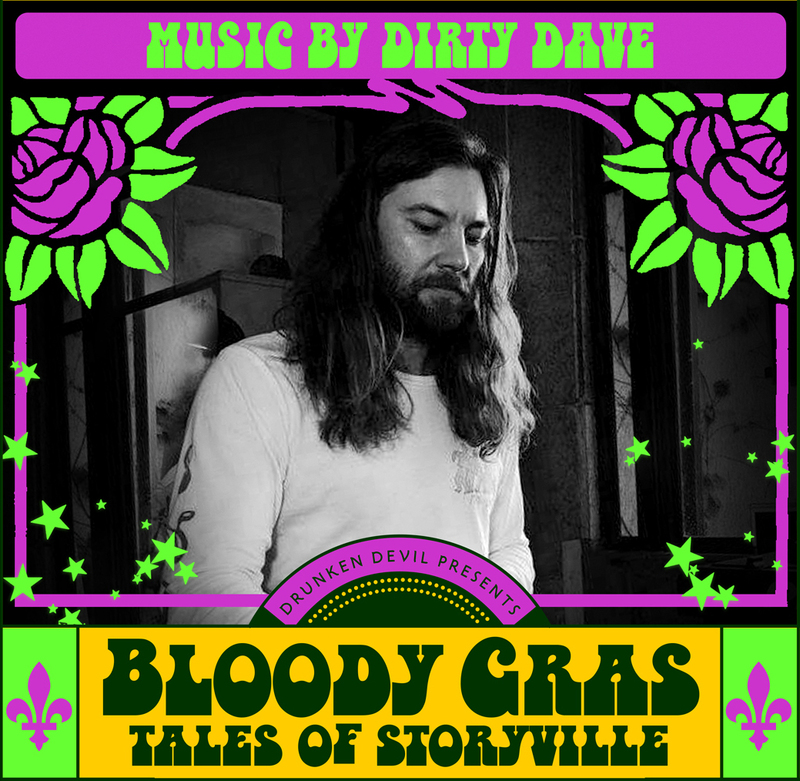 In addition to the interactive portion, Bloody Gras will feature Drunken Devil’s signature open bar, with beer, wine, and cocktails flowing freely throughout the evening. 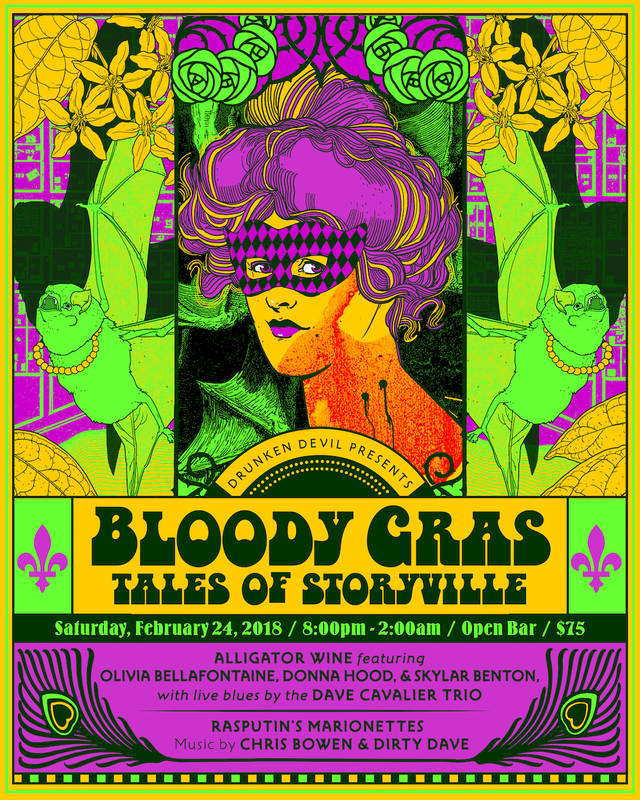 The entertainment lineup will feature Alligator Wine, a unique, improv burlesque experience featuring Olivia Bellafontaine, Donna Hood, and Skylar Benton, along with live swampy blues by the Dave Cavalier Trio. 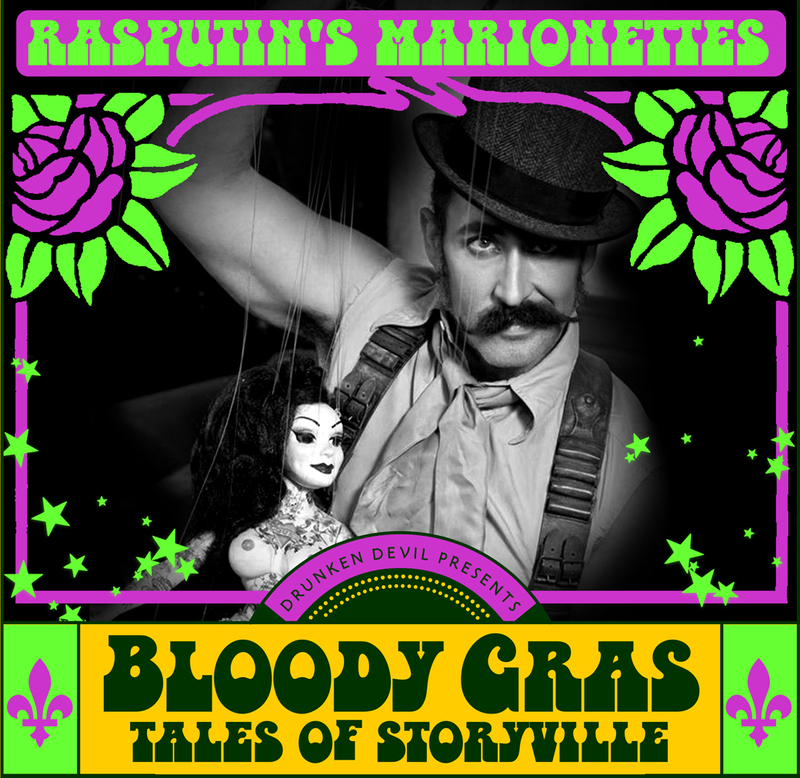 Guests will also experience roaming marionette performances by Rasputin’s Marionettes, as well as an interactive photo booth, and special Mardi Gras tricks and treats throughout the night. The experience ends with a dance party, featuring DJs Chris Bowen (Bears in Space) and Dirty Dave (dublab), spinning back-to-back sets of sinister disco that will carry into the dark hours of the morning. Tickets, which are all-inclusive, are $75.00. 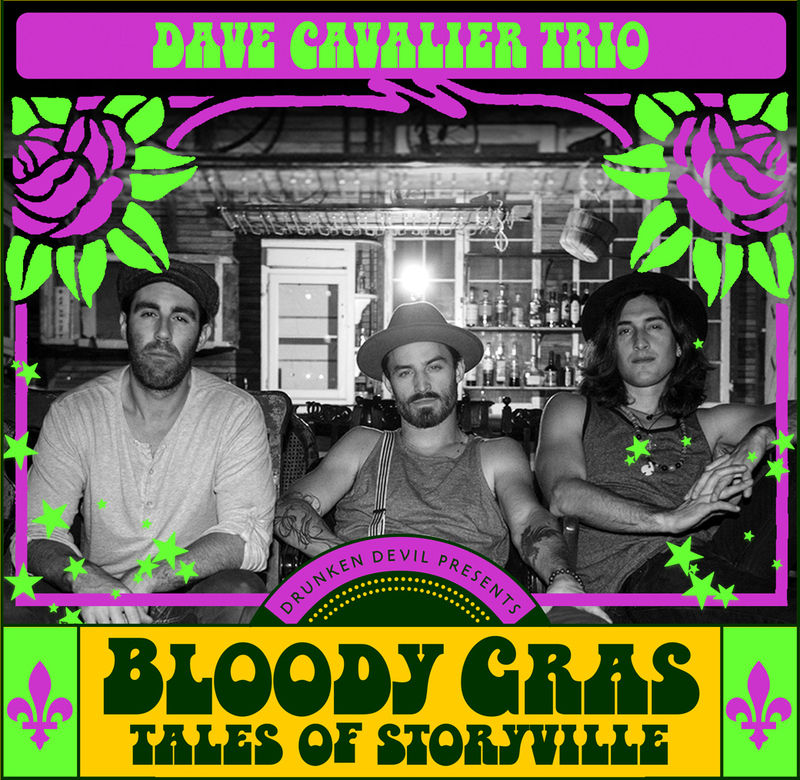 Due to the intimate nature of this event, limited tickets are available, and can be purchased at www.restlessnites.com/bloodygras. 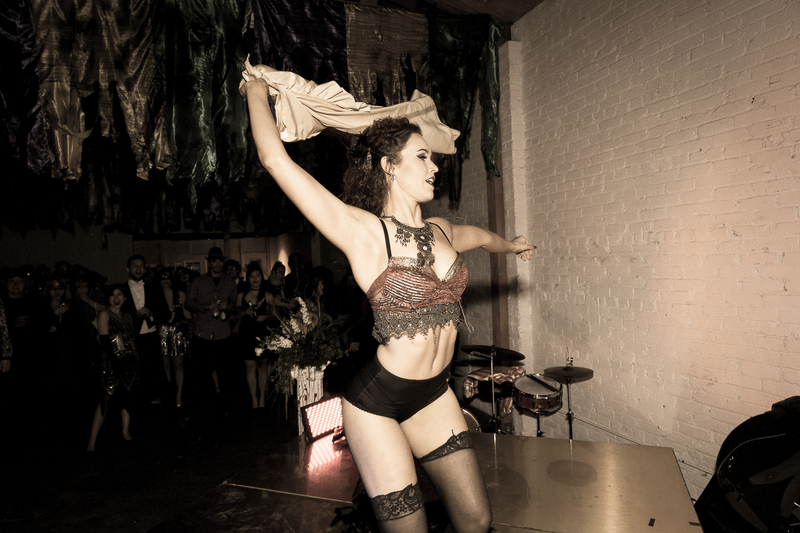 Dress to impress: costumes and extravagant attire, reflective of the hedonism of Mardi Gras, are highly encouraged. Location will be revealed in the days before the event. 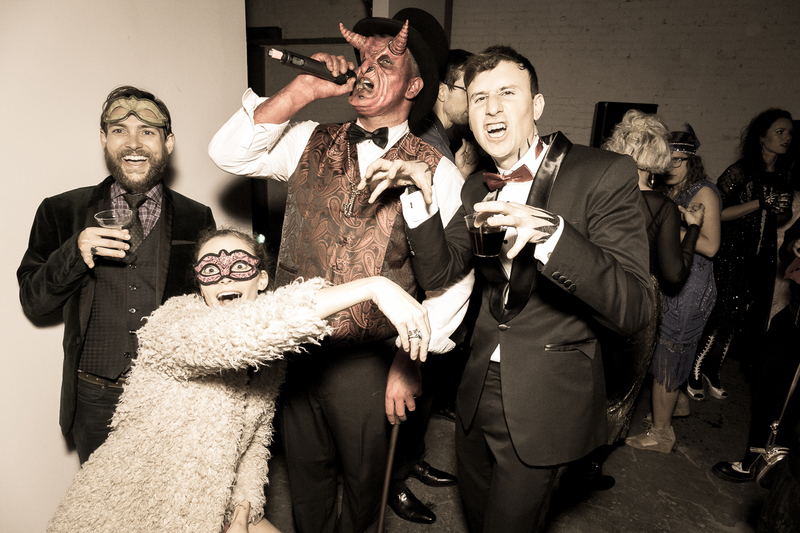 Drunken Devil is an entertainment company with an emphasis on horror-infused nightlife, dining experiences, and special events. After an incredibly successful season, including several large-scale parties, intimate, interactive dinners and brunches, and numerous other projects, they are confident that the 2018 will be their best yet.